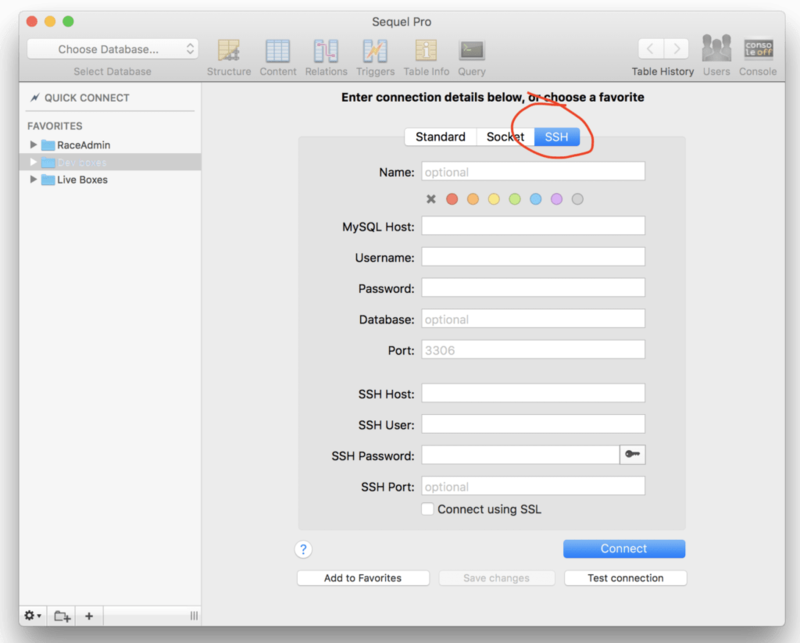 In my experience the best way to connect SequelPro on a Mac to a Homestead Vagrant MySQL database is via SSH. Although you can run multiple apps per vagrant box I’ve always been happier running Homestead in the Per Project mode. It keeps things neat and tidy for me. I’ve also found with more complex setups that Laravel Valet doesn’t always work as intended. Ok, first step is to open SequelPro and create a new connection by clicking the small plus sign in the bottom left. Next up click the SSH button in the connection window. You will be asked if you want to trust the SSH server. Choose Yes and you are good to go!